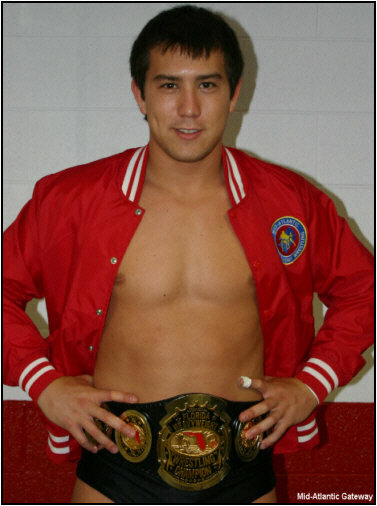 EWA Florida Champion in 2008 Ricky Steamboat Jr.
"Little Ricky" defeated Mr. Florida on August 9, 2008 to win the Florida title at "Return of the Hawaiian Punch", a huge EWA event in Charlotte. 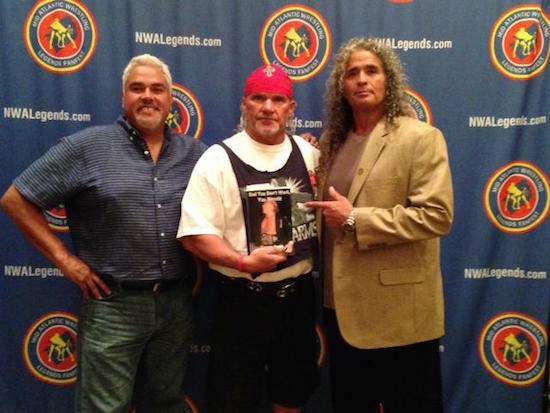 His father, "The Hawaiian Punch" Ricky Steamboat was on hand to see his son win the title. Relive "The Return of the Hawaiian Punch"
I get the nicest reviews of my book written by someone out of the blue. 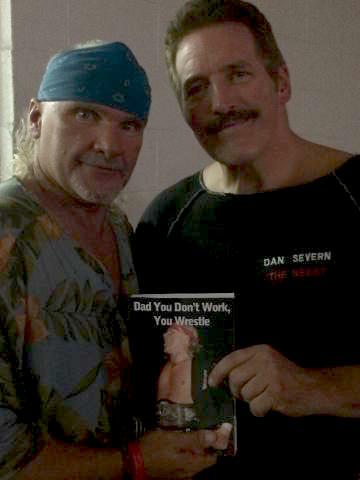 Check out my Book Page for "Dad You Don't Work, You Wrestle" and scroll down and see all the nice things people have said about my book, including the most recent nice letter I got from Rick Michaels. 'Highway Run'.... 5:16 p.m. and just a great day. Over l00 people got to see me sell ten year old WWF trading cards, 2 'Ricochet' bobble heads that look alot like C.M.Punk, kids got to meet Tessa and watch some great wrestling students put on a great show. I wonder who their trainer is? Just a great day. Sometimes wrestling gets it right! Now, Journey up loud, windows down in my B.J. ring truck and get to see what normal people look like at Cook-out! Thank you Jesus for my life! 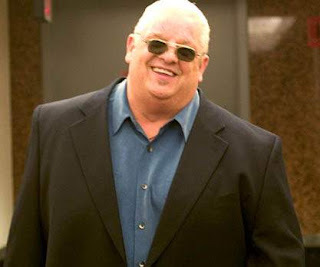 For over 6 years I called Dusty Rhodes every Monday morning to tell him thank you! It still wasent enough. A young woman and man run through a series of moves surrounded by nine other students. The sequence ends with her throwing him to the mat. The man lands with a thunderous thud as the ring flexes. South fires off another string of moves as the pair jump to their feet. The woman strikes a toothy smile as she places the man in a headlock. Although 19-year-old Tessa Blanchard has performed that hip toss 12 times in a row and has been thrown to the mat herself, she is still smiling when she retreats to the corner minutes later. Watching Blanchard in the ring, one might conclude that wrestling is in her blood. They’d be right. 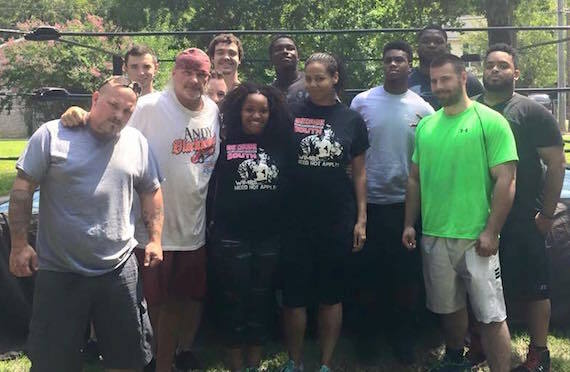 Her grandfather Joe Blanchard, who died in 2012 at age 83, is a former wrestler who owned Southwest Wrestling in San Antonio and trained Dusty Rhodes. Her father, Tully Blanchard, 61, is one of the legendary Four Horsemen and her stepfather Terry Allen wrestled as Magnum TA. He was one of the most promising stars of the era before a 1986 car accident on Sardis Road forced him into early retirement. In less than a year and a half, Blanchard has toured Canada and performed in several U.S. cities. She’ll spend Saturday wrestling in Philly and Sunday fighting off two women during her match at PWX’s Super Kick event at Cabarrus Arena. Then she heads to China for two weeks. 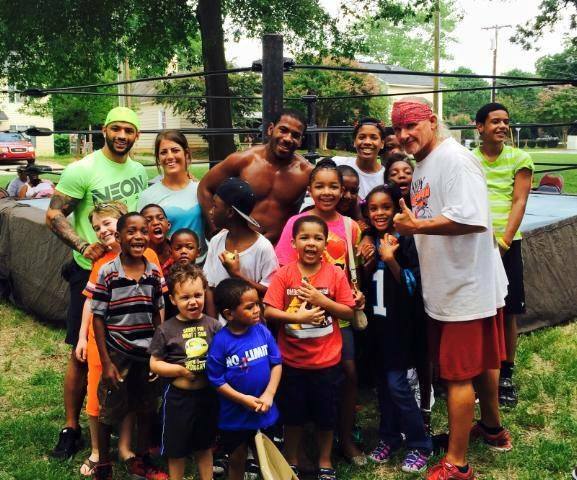 Pro-wrestling is a family business: WWE’s current roster is made up of many second- and third-generation wrestlers like The Rock, his cousin Roman Reigns, Randy Orton, Bray Wyatt and Dusty Rhodes’ sons Dustin and Cody. It wasn’t a business Blanchard saw herself pursuing until her father was inducted into the Hall of Fame in 2012. “Ric (Flair) and (his daughter) Ashley were seated in front of us talking about Ashley getting into wrestling (she now wrestles as Charlotte for WWE NXT). 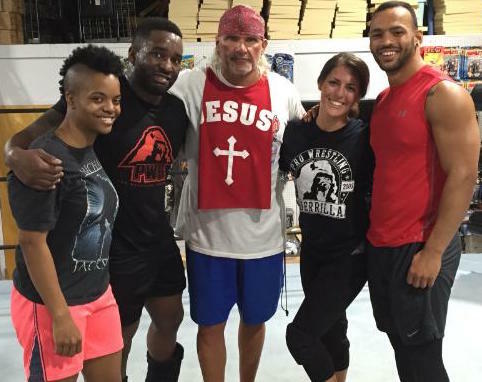 After tagging along on her dad’s interviews, Blanchard thought she might try her hand at it too despite “crying my eyes out” the one time she saw her father wrestle. 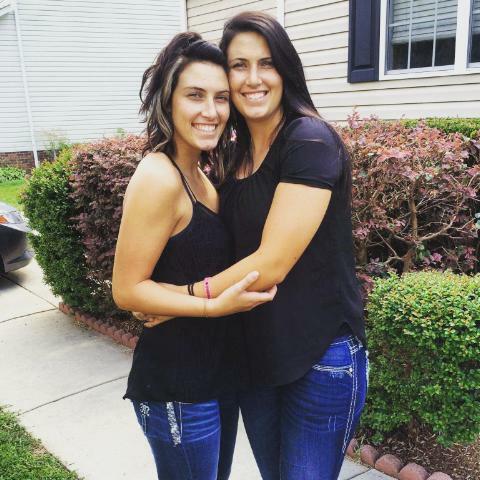 “He was bleeding and I started freaking out and tried to follow him back to the locker room,” she recalls of the independent match at a high school gym in Lenoir. 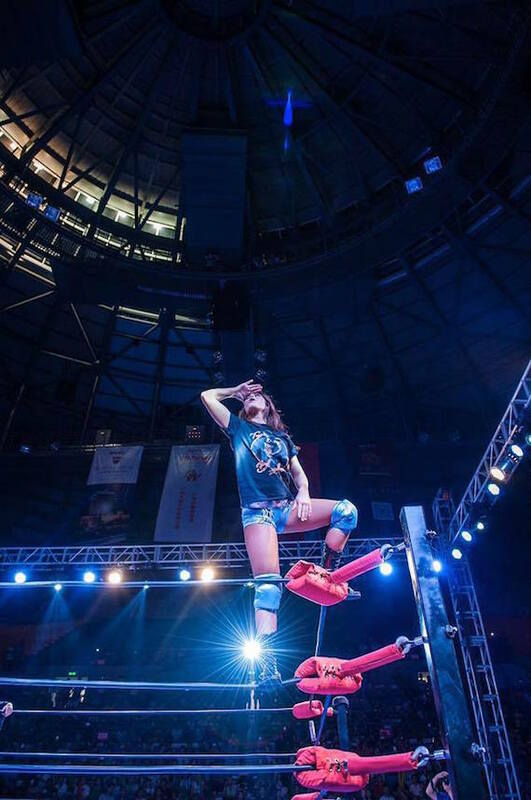 Blanchard is still figuring out who she is in the ring, although she leans toward a technical, feet-on-the-mat style with focus on telling a story. Meeting fans, she’s America’s sweetheart. But she can antagonize them from the ring as well. She also realizes the weight of her lineage. Blanchard may be late to the party as a wrestling fan, but it’s obvious she breathes it. She beams describing old black-and-white matches, her favorite wrestler Johnny Valentine, and her two dads. In and out of the ring Blanchard looks like a natural. It’s hard to believe “no one thought I’d stick with it,” she adds. What a picture of Tessa! Who needs WWE?? Proud of this tough kid. George South who? George South, Jr. Contact George South about training opportunities. WOW!! Now I know sharks are eating everybody, I cant drive my 'General Lee' any more, or wear my Freebird make-up. Heck, they even want me to stop using my Hulk Hogan toothbrush. But the one thing that they can't take away from me is my personal relationship with Jesus. This world may pass away but His love for me will never fail. Everybody keeps talking about the past, heck they even want to go dig up an old confederate soldier! But listen to me, Jesus is all about going forward. He doesn't care where you have been. I am so sorry I am late this month with my updates but I have been very busy with the NWA fanfest, my wrestling school, and the 3 prettyest grandbabys of all time. My favorite fanfest moment was getting to see the Mark and Chris Youngblood again after all these years. I want to say thank you to everyone that came up to me and let me know how much they enjoyed watching me wrestle all these years. I gave Lance Russell a copy of my book and he was so grateful that I thought of him. I was so sad to hear that Rowdy Roddy Piper died. He was one of the all-time greats in Mid-Atlantic Wrestling. We've lost so many of our legends this year. Can you believe summertime is almost over? I spoke to Lori and Jillian Armstrong this past week and they are doing so good. I love those two sweet ladies so much. The story of Ricky Steamboat being at a red light and some guy getting into his car and asking for a autograph was also one of my favorite stories he told on the Mid-Atlantic video. I also want to say thank you to Mike Mooneyham for the nice words he said about me durning his Hall of Heroes speech. Be sure to watch my TV show right here on GeorgeSouth.com every week! (I know Bullitt, it ain't a TV show because people don't watch it on TV!) 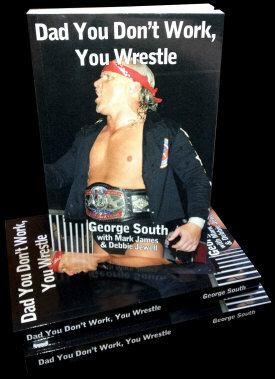 It's "Dad You Don't Work, You Wrestle", the same name as the 2nd greatest book ever written. 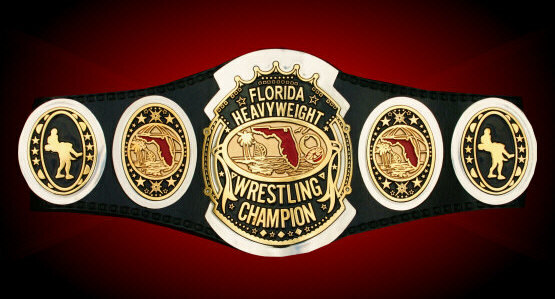 It premiers every Wednesday on Highspots.com and right here on GeorgeSouth.com. As we begin August, we are airing our 131st episode this week! I think we have officially outlasted the real Sonny and Cher! Can you believe my Cowboys play in less than 30 days? Greg Hardy, the guy that has gives everybody a heart attack, has looked so good in training camp. Maybe their is something to this second chance stuff. Yeah, we're done, folks. Jesus is on His way! Did you hear about the idoit that taped his PIN number to the back of his ATM card because his girlfriend kept forgetting it? Yep.......your right, it got stolen and guess what? The "Joker" is living it up all over town! I bet you a few Mason Jars from my back yard the guy was a wrestler!! Hope everybody has their George South wrestling school t-shirts by now. They are doing so good. Stay cool and rent a wrestling ring from me. Makayla said her and Dallas need new school shoes. God Bless and see you at the matches. Tuesday, August 4, George South Wrestling School, Charlotte, N.C.
Saturday, August 8, National Guard Armory, Forest City, N.C.
Tuesday, August 11, George South Wrestling School, Charlotte, N.C.
Saturday, August 15, National Guard Armory, Kings Mtn., N.C.
Tuesday, August 18, George South Wrestling School, Charlotte, N.C.
Tuesday, August 25, George South Wrestling School, Charlotte, N.C.
Saturday, August 29, AML Rec. 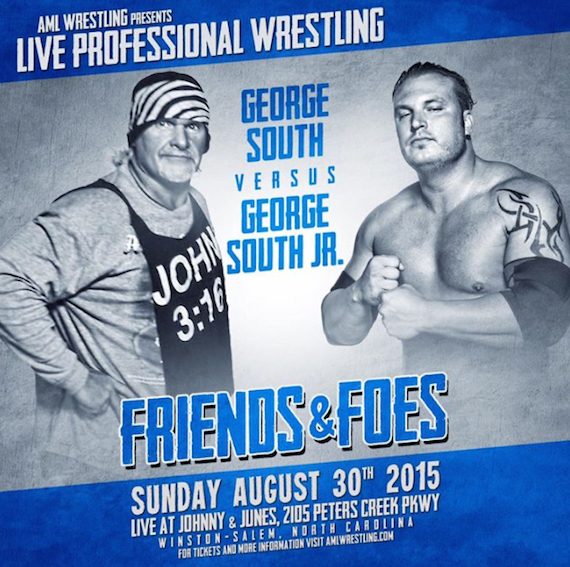 Center, High Point, N.C.
Sunday, August 30, AML Johnny & Junes, Winston Salem, N.C.